This Endon Josephine arc small table lamp with white shade in polished nickel finish is classy, functional and stylish. 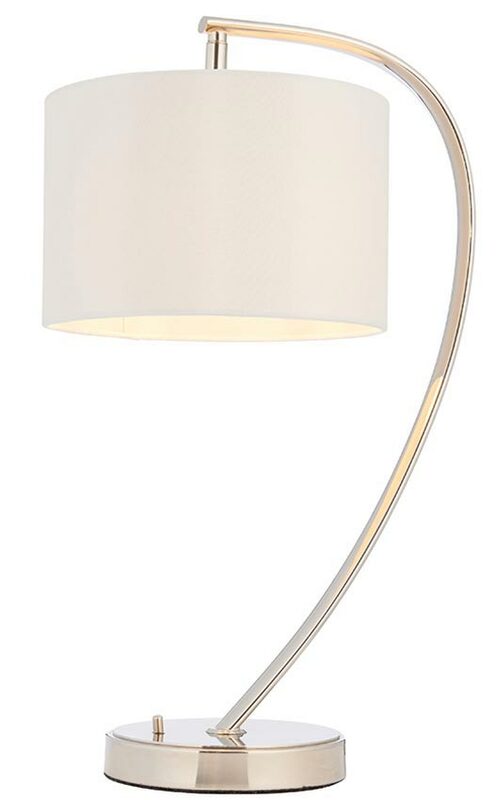 A curvaceous table light featuring a circular base, elegant swan neck stem, hanging 20cm (8″) white faux silk fabric drum shade and toggle switch in the base. An elegantly arched table lamp finished in bright nickel plate paired with a small vintage white faux silk shade. Contemporary style teamed with traditional elements make this suitable for modern and classic settings alike. Perfect for any room and particularly suited to use on a desk, as a bedside table lamp or next to your chair in the living room. There is a coordinated floor lamp in the Josephine lighting range; please see below. 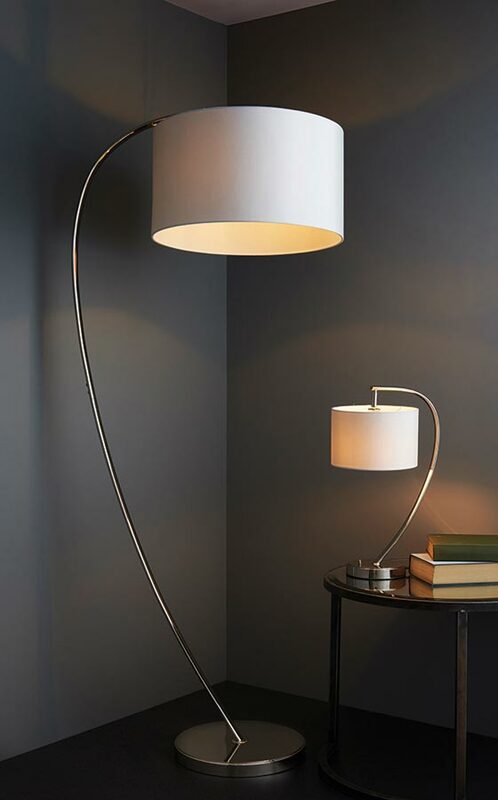 Manufactured by Endon Lighting, a design led business who lead the way in style and innovation to create an impressive range of products such as the Josephine arc small table lamp with white shade in polished nickel finish you see here.